Author Christine Gordon Manley found literary inspiration in the story behind the iconic St. John's statue. Peter Pan is making another appearance in children's literature, more than 100 years since first springing from the pen of J.M. Barrie. And this time, there's a Newfoundland twist. The Secret of Bowring Park was inspired by its author's visit to her childhood home, when Christine Gordon Manley took her then four-year-old daughter to the park to enjoy a favourite townie pastime: clambering all over the bronzed flora, fauna and fairies of its Peter Pan statue. "I was watching her climb all over that statue, and the idea just kind of hit me: I said, there hasn't been a book with the statue. So I decided to write one," said Manley. It was an ambitious idea for Manley, who had never written a children's book before. But as she followed up on her gut instincts and learned the history of the statue, she became convinced she was on the right path. "The more research I did, the more fascinating the whole story behind it was to me," she told CBC Radio's Weekend AM. 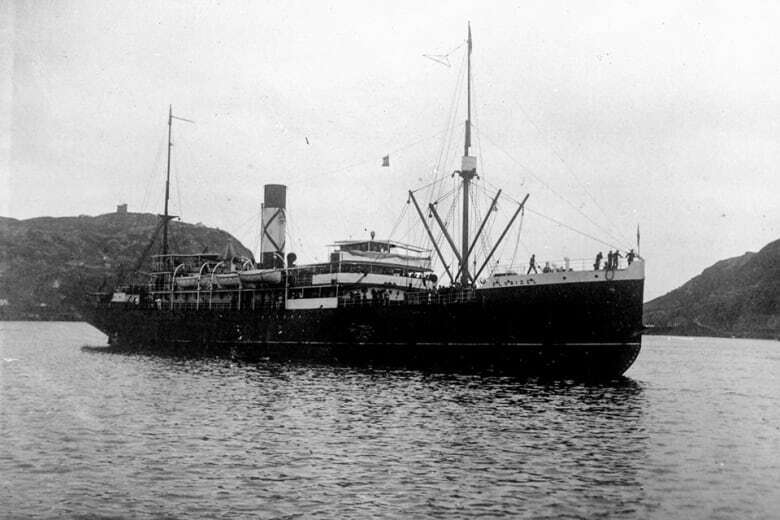 The St. John's statue is dedicated in memory of three-year-old Betty Munn, a passenger aboard the SS Florizel when it sank in the waters off Cappahayden in 1918. 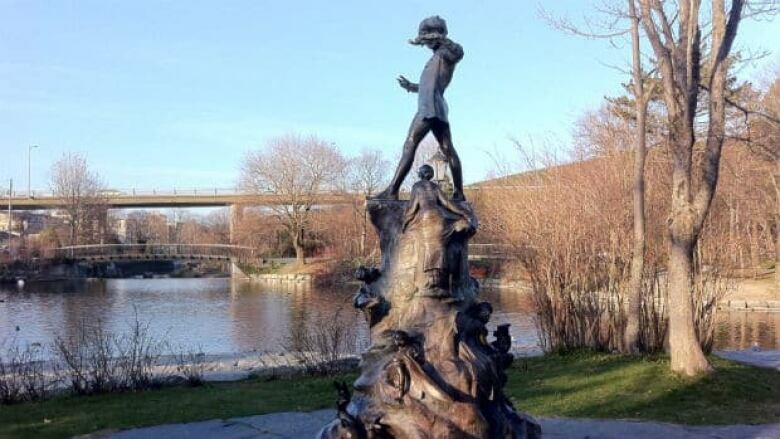 Heartbroken, her grandfather Sir Edgar Rennie Bowring commissioned a duplicate of the Peter Pan statue erected in London, England, and had it installed on land he had donated to the City of St. John's in 1911 to create the park. The inscription, 'In memory of a little girl who loved the park' still graces the statue in 2018, and Munn's story lingered on in Manley's heart. "I saw a photo of her face. I just couldn't get it out of my head," she said. "I wanted to honour her, and write a book about the eternal magic of childhood." The resulting book doesn't dwell on Munn's tragedy beyond an author's note, but does pay sly tribute to her through one of the character's names, Elizabeth. Elizabeth and her sister Natalie spend time in the park and experience the sculpture's magic in different ways. The format is also different. As an early-reader chapter book, Manley said she recommends it for a wide age range — from four- to 10-year-olds. Manley said that even her daughter who inspired the book, who has long graduated to meatier novels, enjoyed the tale. "Because she visited this statue first-hand, she still finds magic," she said, adding that echoes the overall theme of the book. "That there's magic within us, and not to lose it even though we're going to grow up and be boring grown ups. But we can all remember that we have magic inside of us, and that's very powerful."